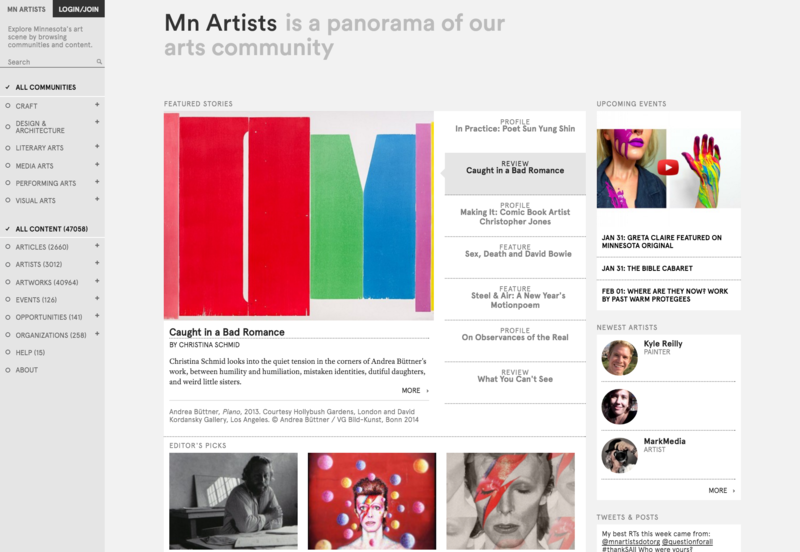 Mn Artists is home to art, writing, opportunities and conversation, online and off, by, for and about Midwestern artists working in every discipline. A program of the Walker Art Center, Mn Artists is a museum-produced project dedicated to improving the quality and national visibility of regionally-rooted art, artists and cultural dialogue through a dynamic online community, responsive arts journalism, and by giving artists access to, and connections with, collaborators, influencers and the public. Mn Artists is a project of The McKnight Foundation and the Walker Art Center, and was made possible in part by the Institute of Museum and Library Services.